Now let’s talk about Kiwi food, the first time I set foot here in New Zealand like any other migrant or tourist one of the first questions you will be asking is what are the best traditional Kiwi food items or recipes out there and where will I get them? To my surprise most of the ones I asked did not know what to answer or they had answered “Nothing really, I think the closest one would be savoury pies”, that surprised me a lot as I lived and visited in different South East Asian countries and when I asked that question, it will be an endless conversation or even argument to those people I presented the question with on which is the best dish for them to let me try. As I stayed longer I started to see some really dishes unique to New Zealand which I guess people I knew are not so adventurous to try or they just really love their meat pies and Chinese takeaways, they totally forgot that there are other wonderful dishes out there. Most of the dishes that I was interested on are those where they combine meats and fruits because from where I came from only young fruits are used for cooking savoury dishes and not the ripe ones. I saw several dishes where they used kiwi, peach, apples and grapes with meats and vegetable and I guess this is what’s unique with New Zealand. Though it may be an improvised menu from another country, I think it is still brilliant mixing fruits and meats, combining the sweet and tangy fruit to a savoury meat, it enhances both flavours bringing the umami out of the dish. Some of these dishes are common in cafes like wraps served with fruit chutneys, steaks served with fruity gravy, green salads with different fruits grilled or fresh and stews or braised meats in fruit based sauce like this recipe which was adapted from a TV ad called “Food in a Minute“. Heat the oil in a wide heavy pan which you can cover, lie pork flat then brown both sides, remove from pan then set aside. Add onions, garlic and celery, stir until onions caramelizes. This will take around 8 minutes. Place back the pork then add the cider, honey, sage and apples. Cover pan then simmer very gently for 1 hour add water if needed. Remove from pan and place pork pieces on a plate leaving the sauce. At this stage apples are dissolved into the sauce. Simmer the sauce for 5 minutes then season it with salt and pepper. If sauce is too thick adjust it with water. Pour sauce on top of plate then serve. 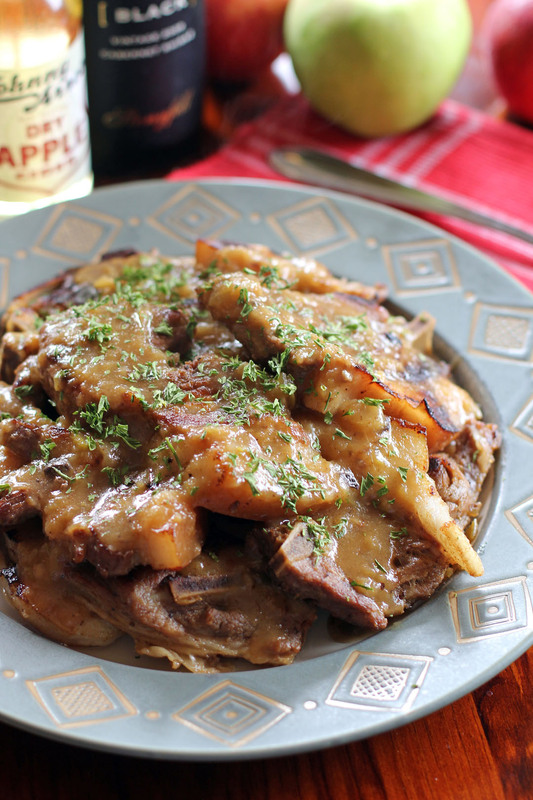 Oh my Raymund, pork and apples are a classic but your combination of using chops rather than roasted meat seems much easier for a weeknight meal. PS my keyboard is playing up – there should’ve been an exclamation mark between my and Raymund… LOL! pork and apple is always a great combination!I love how this dish looks. I use apple cider for my pulled pork sandwiches, it is good stuff with all pork. Sounds delish! For sure this pork is very flavorful! I am drooling looking at these slices on the plate. The combination of apple and pork sounds delicious…I always like sweet with savory…yum! Wow, what a great recipe. Such a classic pairing of flavors! Super dish – thanks so much. Can’t go wrong with apple cider and pork. This looks so yum and comforting!! This time you exaggerated, Raymund!!! This apple cider pork looks EXTREMELY mouth-watering. I have seen so many wonderful recipes coming from your kitchen but this one is special. I am literally salivating–and pinning it, of course!!! YES ! YES ! YES! All my YESs to this so-old-but-so-new recipe ! Raymund, this looks a lot like a recipe my New Zealand grandmother used to make. Actually I’d forgotten about it and this brought home some childhood memories. I think I might give this one a go for old time’s sake. Thanks! That looks so delicious. I am going to have to remember this recipe for when fall comes here. Raymond, this dish looks so succulent. I love the sweetness of the apples and the savoury of the pork. A wonderful combo. You just said my favorite word.. pork lol. I LOVE this. Delish! I haven’t tried making this…but this is such a great idea! I love apple cider and it goes well with pork! I’m definitely bookmarking this! 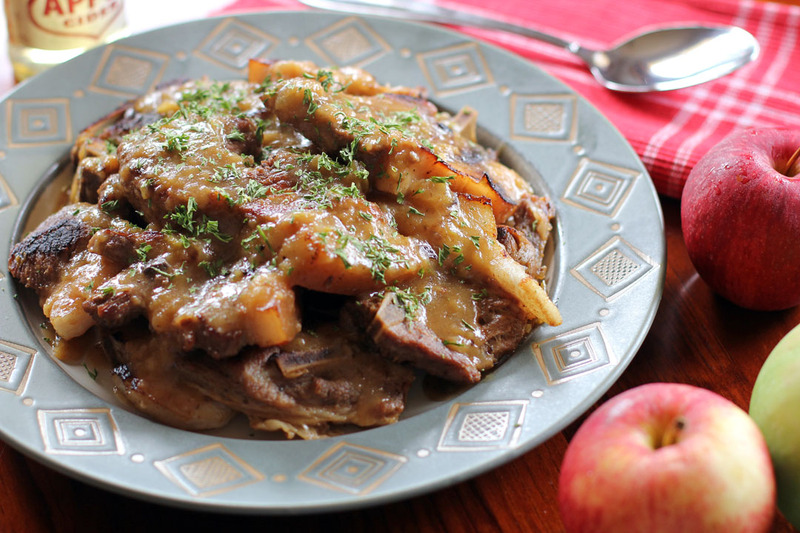 Pork and apples are such a wonderful combination! Looks delish! Another great recipe that seems to delicious to pass up. I make something similar recently, but this recipe sounds far superior, thanks for sharing. Wow! That looks succulent and juicy, and the apple sauce sounds really good. I’m not familiar with kiwi food at all, would love to learn more. Wow. That was delicious! We made it for dinner tonight, and will definitely make it again. It goes real well with sweet corn on the cob. I am stuffed. And happy. Thanks for sharing.